Image courtesy of The message seen by visitors to Target.com on Monday. 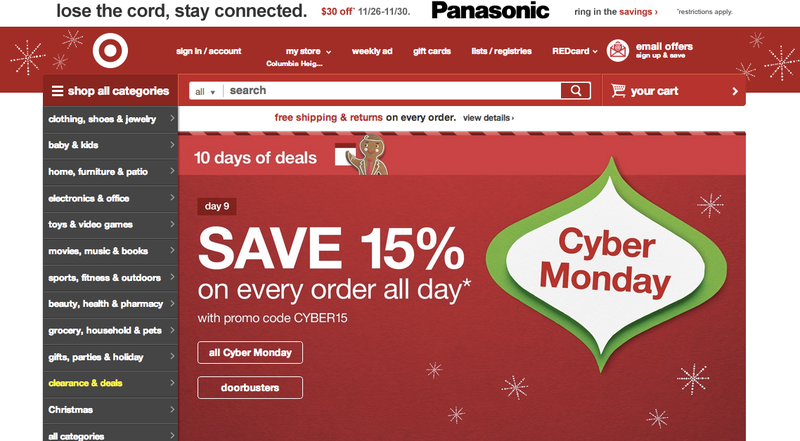 Savvy holiday shoppers who didn’t want to fight the crowds on Black Friday may still be battling congested online traffic in order to obtain the plethora of Cyber Monday deals today. That’s especially true if you’re trying to score some goodies from Target, as the retailer’s website crashed this morning. Target tells the Post that it is working to restore full functionality to the website. Until then, however, the company will regulate the flow of traffic on its site. By noon ET Monday, some shoppers were able to access the site. However, our attempts to reach the Target.com homepage from computers in Pennsylvania and New York both turned up “Access Denied” error messages. The message seen by some visitors to Target.com on Monday. Consumerist reader G. had issues making purchases online Monday, albeit of a different kind. Instead of being unable to access the retailer’s website, he was unable to put merchandise in his card because of lines. G. says the site “simply got more and more broken” as he tried periodically to add the item to his cart. Eventually, he gave up. 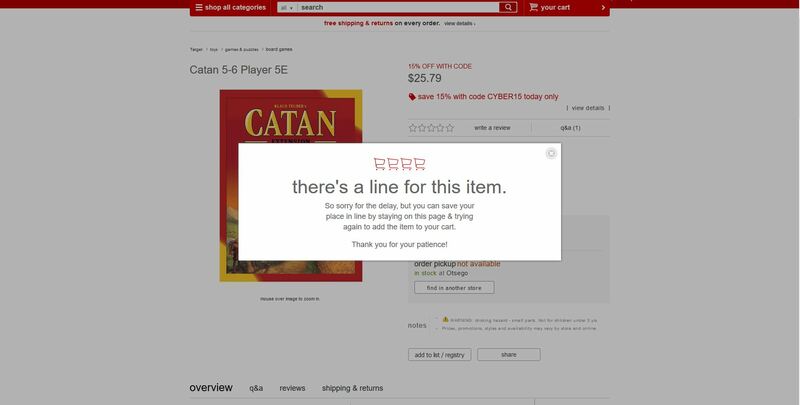 This, of course, isn’t Target’s first run-in with heavy traffic wreaking havoc on its website. Over the summer, the retailer’s site crashed during the debut of its limited-time collaborative Lilly Pulitzer line. The company said at the time that the site didn’t technically “crash,” but that Target did make the strategic decision to limit some customers’ access to certain parts of Target.com. The site was also made inaccessible for several minutes to avoid a crash. In 2011, the company suffered a months-long glitchy mess with Target.com. The most high-profile problem occurred in mid-September when the rush to purchase items from the new Missoni for Target line crashed the site. Problems continued after that, including further crashes, missing items and mysterious debit card charges… and re-charges… and re-charges.